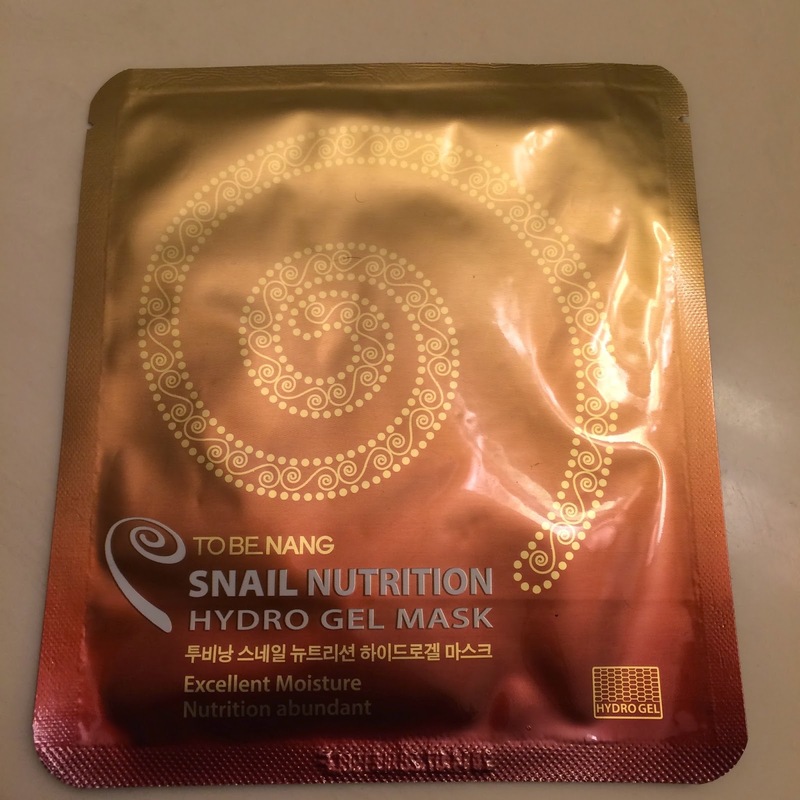 This is a Snail Nutrition Hydro Gel Sheet Mask from To Be Nang. While received in a Memebox, it is not sold in the Memeshop. However I did find it on BeautyNetKorea for $4.99. 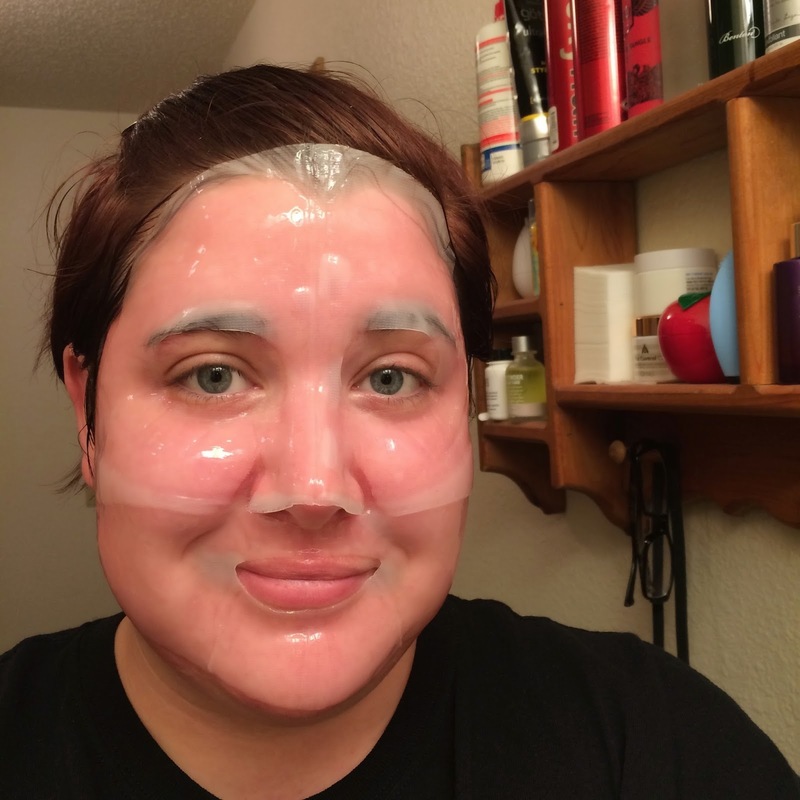 This is a two-piece mask with a reinforced gel, similar to the Meme-mask. 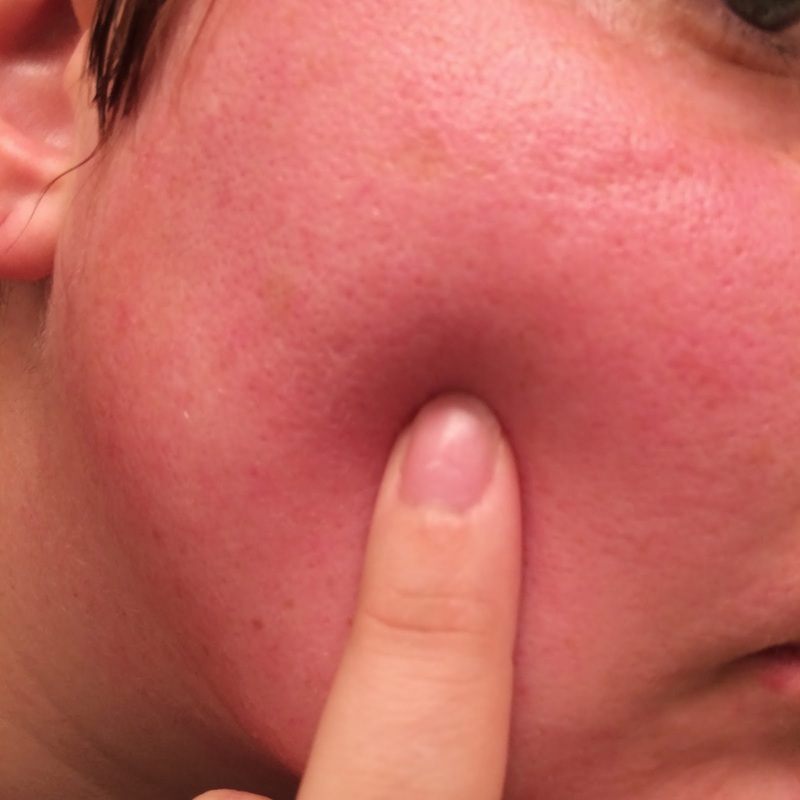 It is supposed to provide moisture and soothe exhausted and rough skin. The snail secretion filtrate is supposed to aide in skin recovery and create a protective later on your skin to keep moisture in for an extended period of time. 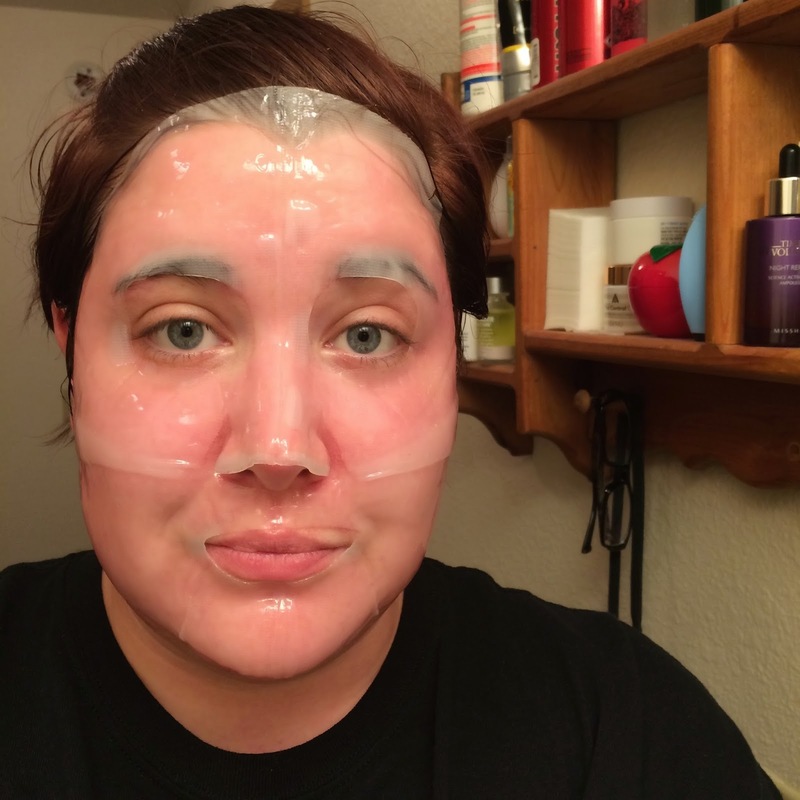 The gel is very soothing. I found the two-pieces to fit my face perfectly, and I didn't experience any sliding of the mask off of my face with this mask, as one side is a bit textured to grip better. 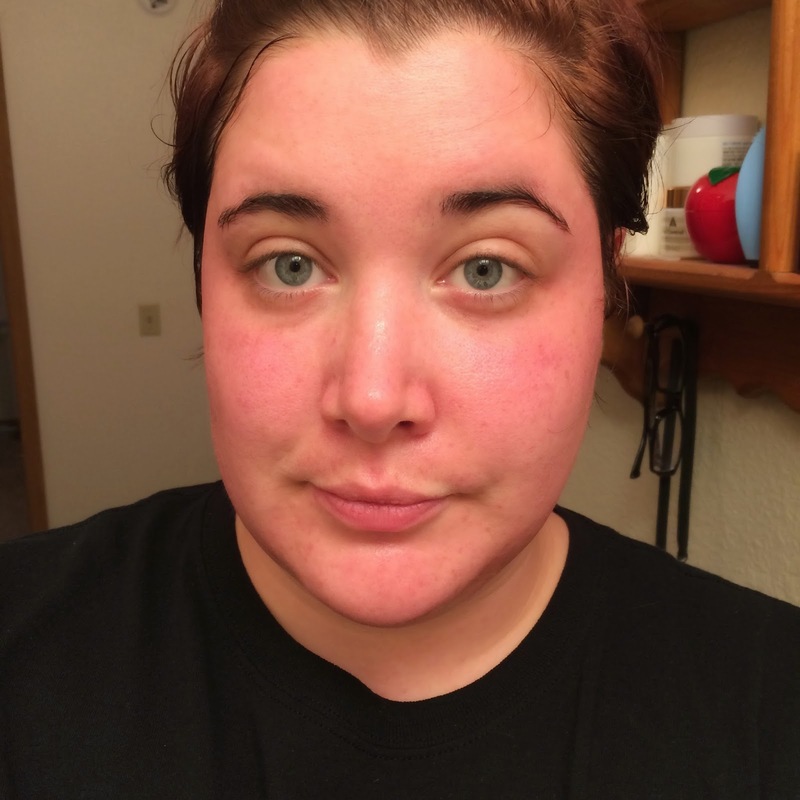 This is the After photo. Can you believe it? Cuz I'm still in shock! 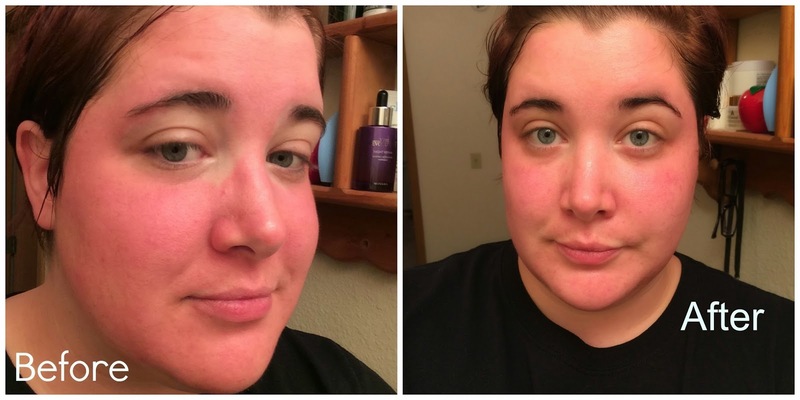 My face still stings, but I cannot get over how tremendously this mask helped my poor face. 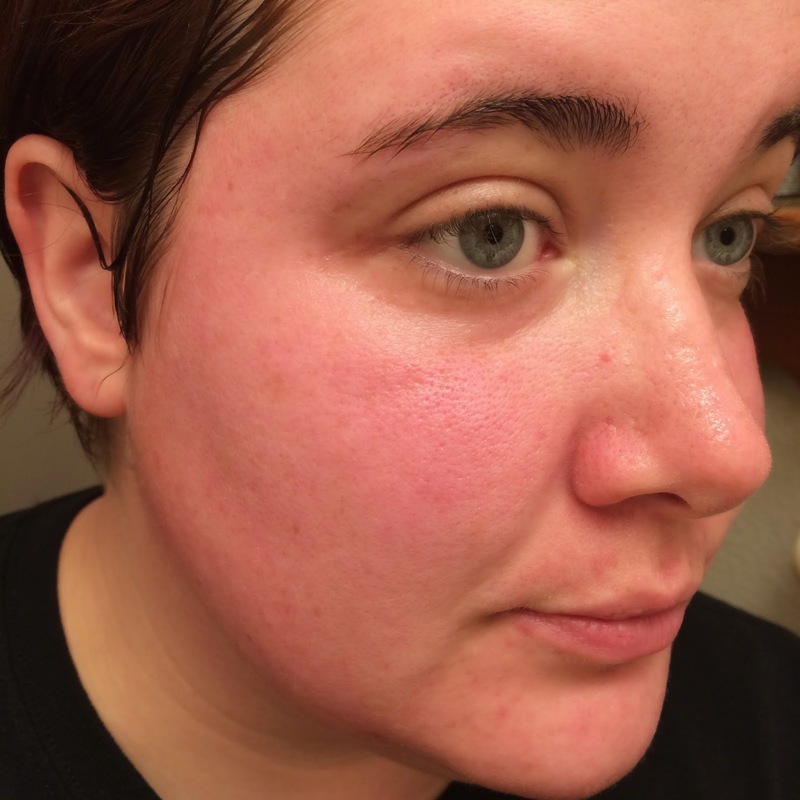 The redness is toned down to a pink, and the swelling is gone! Super hydration, and the snail is so soothing to my skin! This mask is a real winner for me. Or should I just call it a face-saver? Miracle-worker? Yeah... that one. I'm in love, and cannot wait to try more masks from this brand. 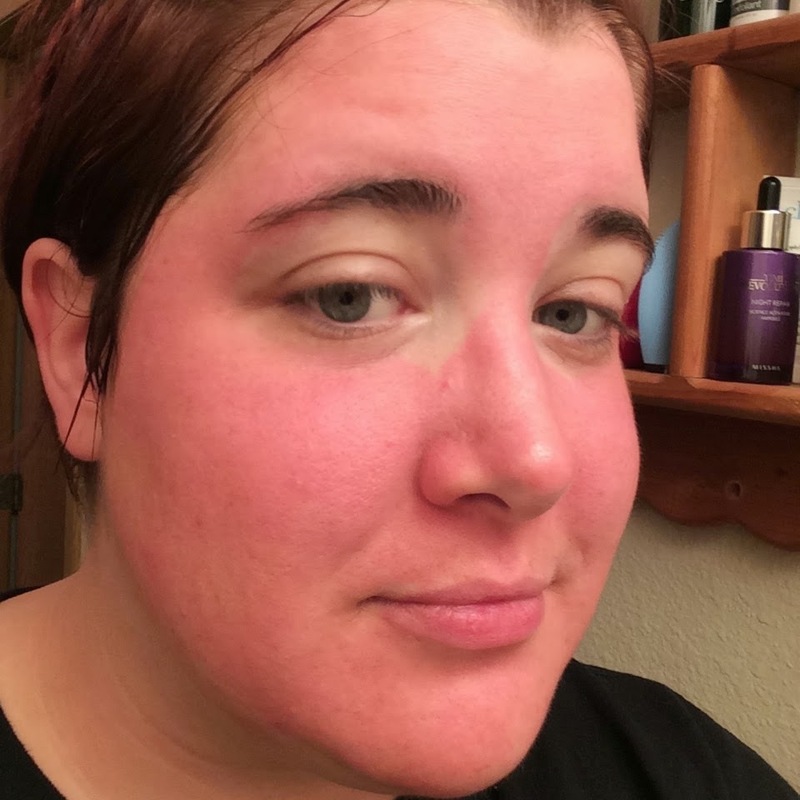 oh your poor face, you probably reacted to the spices in the pumpkin mask :( I'm glad the memebox mask helped you! I really enjoyed this mask too! It fit well and felt lovely. I have the other two that came with it left to try (the more expensive gold one and the cheaper face and neck I think) but I'm definitely going to order a few more from BNK next time I put an order in!